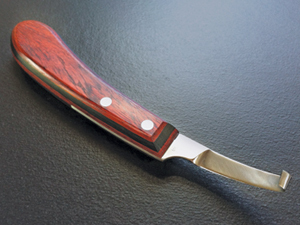 These hoof knives are made of the highest quality carbon steel and keep a very sharp edge over time. The blade is slightly shorter than the Aesculap knives and the handle is longer. Some of our customers have pointed out they prefer them for this reason.